This Prize is awarded annually, in the Michaelmas Term, to one student and will be £250 in value. In addition the Prizewinner will become an "A&B alumnus", conferring benefits such as invitations to dinners, receptions etc. The award will be made on the basis of the quality of the reports submitted and other information about the success of the placement. 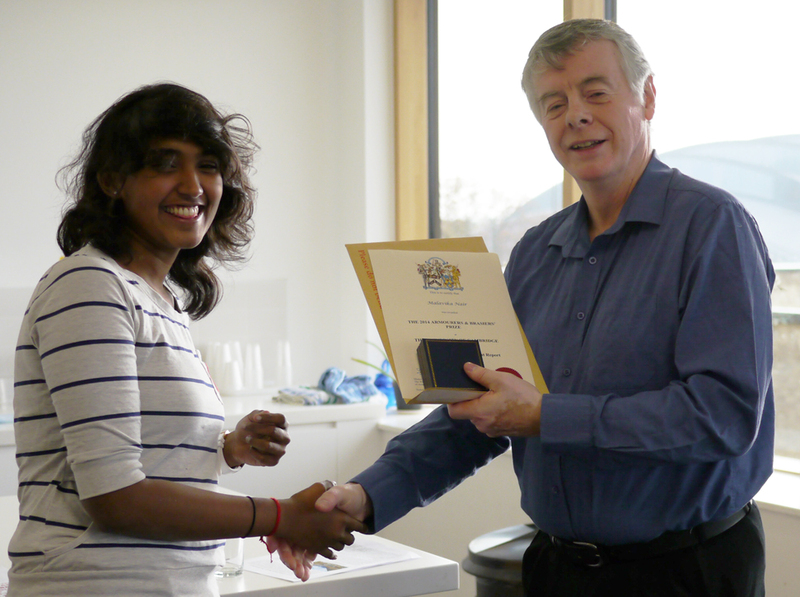 Ms Gloria Young (Part II, TH) is the sixth recipient of the Armourers and Brasiers Company European Placement Prize for her successful placement at EPF, Lausanne, Switzerland, working on a project entitled "Formation, extraction and testing of silicon particles in Al-­Si alloys" under the guidance of Prof Andreas Mortensen, Mr Martin Mueller and other colleagues. 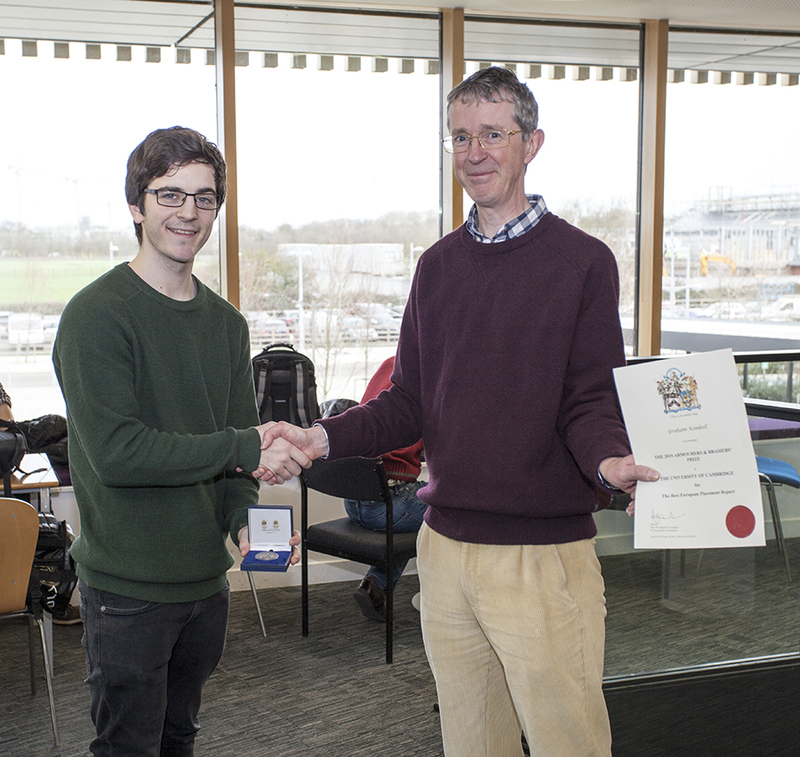 Mr Matthew Jordan (Part III, R) is the fourth recipient of the Armourers and Brasiers Company European Placement Prize for his successful placement at University of Erlangen-Nuernberg, Germany, working on a project entitled "Recommendations for the Rapid Growth of Nano-Crystalline Diamond Foils by HF-CVD" under the guidance of Dr Stefan Rosiwal and colleagues (Host: Dr Alexandra Haase). 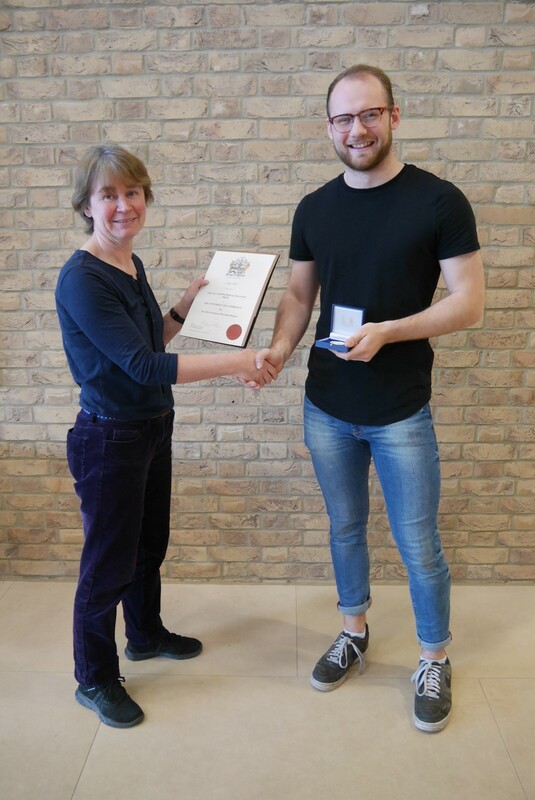 Mr Josh Weston (Part II, CTH) is the third recipient of the Armourers and Brasiers Company European Placement Prize for his successful placement at TU Wien, Vienna, Austria, working on a project entitled "The Influence of Thermomechanical Processing Parameters during Hot Deformation of Ti-6Al-4V" under the guidance of Dr Cecilia Poletti, Fernando Warchomicka and colleagues. 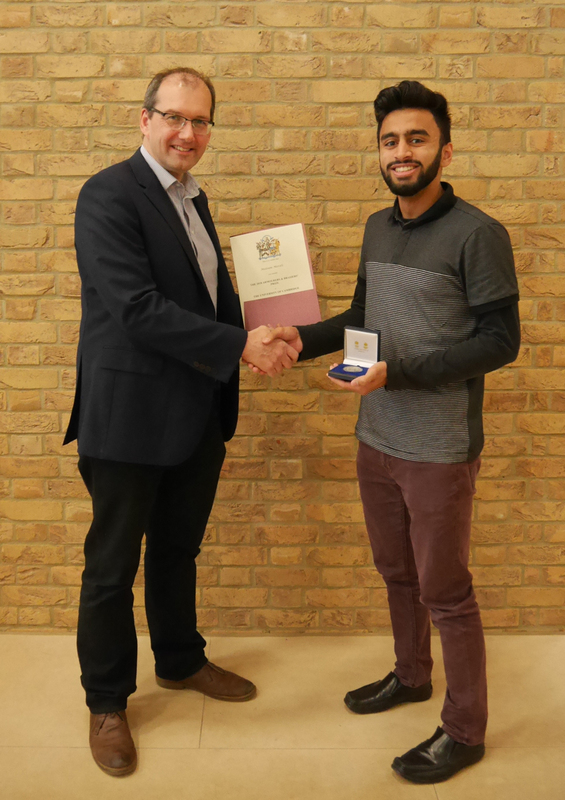 Mr Gabriel Mecklenburg (Part III, G) is the second recipient of the Armourers and Brasiers Company European Placement Prize for his successful placement at Rolls-Royce Dahlewitz, Germany, working on a project entitled "Comparison of Different Lifing Methods" under the guidance of Dr Hartmut Schlums and colleagues. 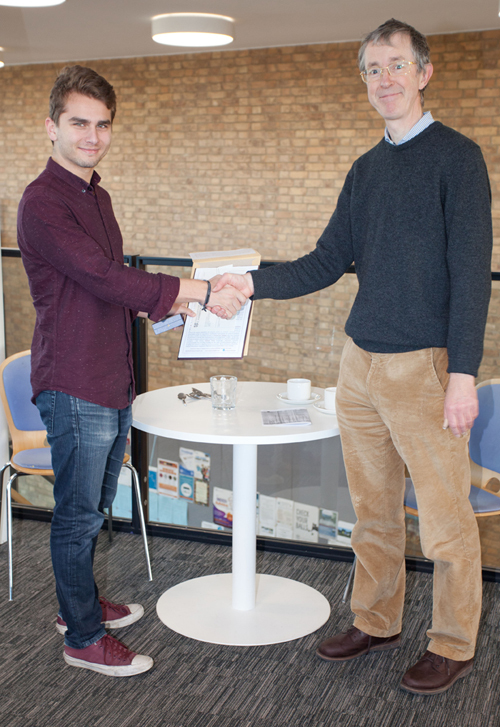 Mr Callum Young (Part II, PEM) is the first recipient of the Armourers and Brasiers Company European Placement Prize for his successful placement at EMPA in Switzerland, working on a project entitled "Compression of micropillars made by FEBID, FIBID and Ion-Beam milling" under the guidance of Dr Ivo Utke and colleagues.